This is the most versatile adapter ever. External diameter (28mm spigot) fits a junior receiver, while internal iameters (16mm and 17mm at each end) suits baby pin. Additional threaded hole for relocating the set screws while they are not used. 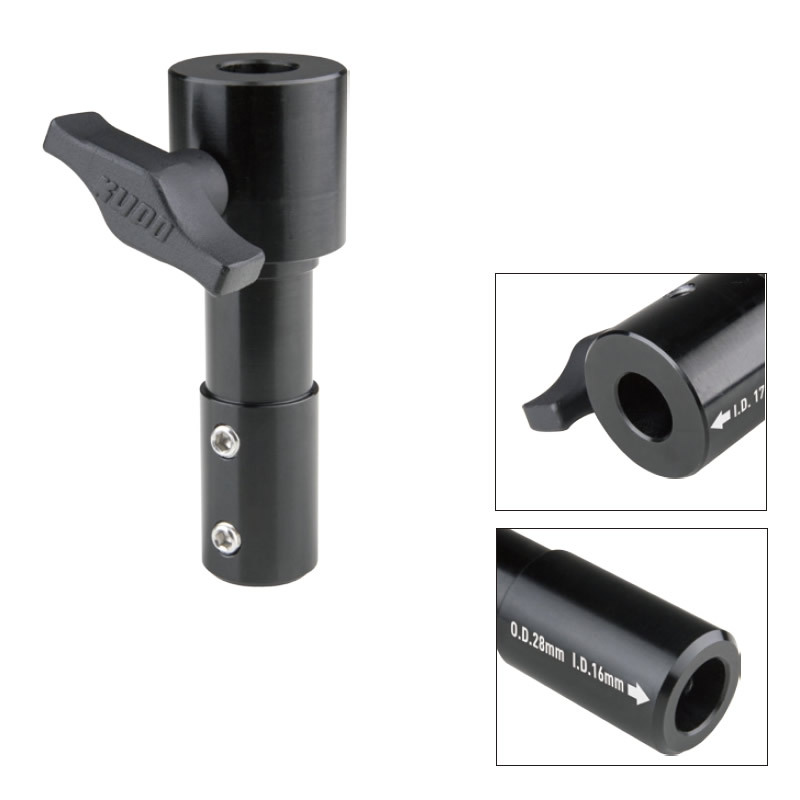 Made of lightweight yet sturdy aluminum alloy with black anodized finish. Legend is clearly laser engraved for identification.